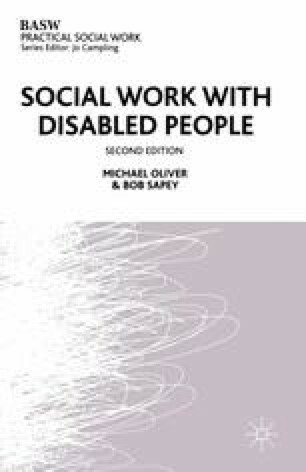 A major theme of this book is that social work, as an organised professional activity, has given little thought to the problems of disability, and where it has it has merely reproduced traditional thinking in its application to social work practice. A second theme is that much of this traditional thinking about disability is inaccurate and incorrect at least in that it is incongruent with the personal experiences of many disabled people. A third theme will be to develop more appropriate thinking about disability and to draw out some of its implications for the practice of social work.